One would think, given that Broom 3 has been out for awhile, that I’d have the American Flying Broomstick site up to date. Well, it is now, only three and a half months after I announced it here on this site. At least I can say that I’ve been updating things on the website. (I’m devoting most of my free time to my all-new fantasy book, The Unexpected Traveler.) 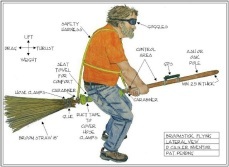 So click on the image or click here to see the updated American Flying Broomstick website. Oh, rats, I’ve got to do a video too!